We are a leading supplier of custom molded and overmolded printed circuit board (PCB) assemblies. 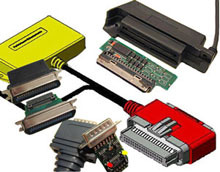 Embedded circuitry within an over-molded assembly is a cost effective solution to many discrete methods of packaging. Improved strain and flex relief and lower costs are many times possible. 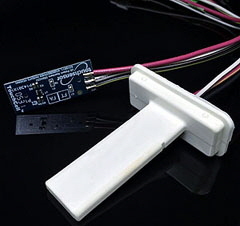 An alternative to more costly potting and low pressure injection molding, molding around electronic circuitry is a specialized area and requires an integrated approach from electronics and board level design considerations throughout the final assembly and test process. 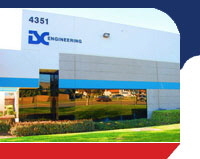 We concurrently engineer and develop leading edge embedded circuitry cables/ smart cables and overmolded SMT/ML PCB's. We have been designing and over-molding electronic components for many years and have become knowledgeable in this field. 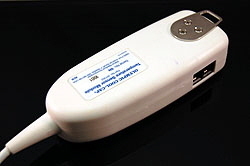 The attributes of insert molding around electronics is very different than molded connector products. We have state of the art molding capabilities which include digital controls for consistency in the molding environment. Products such as PCB's, switches and sensors are just a few of the variations. The approach includes over-molding directly over either a protected or open device and enclosures.